Scotland has a long history of innovation. Welcome to Scotland a country that helped pioneer MRI scanning, the ATM, cloning research, television, penicillin and immunology. Scotland has a long history of innovation, we're a country that helped pioneer MRI scanning, the ATM, cloning research, television, penicillin and immunology. Claudia was born with dysmelia, a congenital deficiency that involves the absence of her left hand and forearm. Despite this challenge (and maybe because of it) Claudia is a successful architect and competitive skydiver. "The i-limb ultra revolution has changed my life. Now I can put into practice things that, for me, were unimaginable. I now lead a life with two hands and I do things with both." Click here to read Claudia's full story. 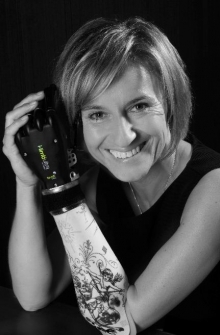 From its early days Touch Bionics focused on overseas markets. The company's top markets are currently the US and Germany. As well as 45 employees in the UK, it has 50 in the US and a further 7 in Germany, Italy and France. Sales in 2013 reached £12.3m. They are amongst a thriving technology sector in Scotland. When it comes to life sciences alone, Scotland has one the largest clusters in Europe, with 650 life sciences organisations employing nearly 35,000 people. Whether it's programming, research or invention Scotland is the choice for many organisations. And this is why, for starters, these organisations are in good company. Over 2,000 foreign firms have chosen to operate in Scotland. Thanks to a quality labour force and stream of bright graduates, operating costs in Scotland are almost 30% lower than London. Scotland's businesses enjoy strong links with top universities. Scotland's 19 higher education institutes work with over 26,000 companies every year to turn research and development into new products. In 2013/14, Scotland secured 33% of all research and development projects into the UK and Scotland is internationally renowned for scientific expertise. Scotland is an excellent place to invest, and our track record proves it. In 2013, Scotland was the top UK region for direct foreign investment after London according to Ernst & Young, and has twice been voted European Region of the Future by FDI Magazine. 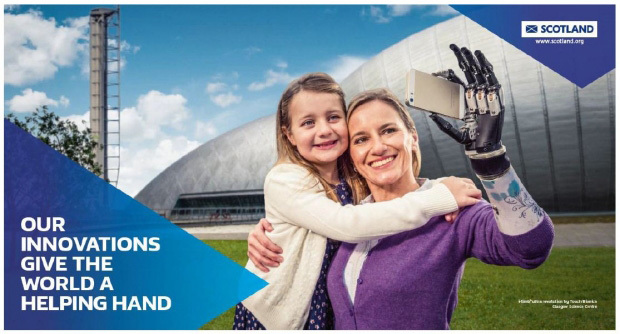 Our history and future makes Scotland a great place to work, invest in, or study towards your own breakthrough technology.